Professor Percy regularly teaches Torts I, Torts II, Civil Procedure II and Insurance. Professor Percy joined the Ole Miss Law Faculty in 2001 after practicing with the Tollison Law Firm, P.A. in Oxford, Mississippi for eight years. While engaged in private practice, Professor Percy concentrated in tort litigation, commercial litigation and appellate practice. She tried numerous civil cases in state and federal courts in Mississippi and briefed and argued several appellate cases before the United States Court of Appeals for the Fifth Circuit and the Mississippi Supreme Court. Professor Percy teaches Torts, Civil Procedure II, Insurance and Evidence. She has acted as the reporter for the Civil Procedure and Complex Litigation Subcommittees of the Mississippi Supreme Court Advisory Committee on Rules since 2006 and offers an annual CLE to the Mississippi bar that focuses on recent developments in Mississippi civil law. Professor Percy received her bachelor’s degree in Economics from the University of North Carolina at Chapel Hill. As part of her undergraduate studies, Professor Percy completed a year of study at the London School of Economics and Political Science. She earned her J.D. Degree from the University of Virginia, where she was a member of the Virginia Law Review and Order of the Coif. Immediately after graduation from law school, Professor Percy clerked for Judge E. Grady Jolly of the United States Circuit Court of Appeals for the Fifth Circuit. Professor Percy then practiced with Latham & Watkins, in Washington D.C, where she concentrated in corporate tax. She moved to Oxford in 1993 and began practicing with the Tollison Law Firm. Before joining the full-time faculty at the law school, Professor Percy taught Appellate Advocacy as an adjunct. Professor Percy has published law journal articles addressing the medical malpractice liability insurance crisis, removal/remand litigation based on fraudulent joinder and fraudulent misjoinder and ERISA’s effect on health insurers’ claims for subrogation and reimbursement. 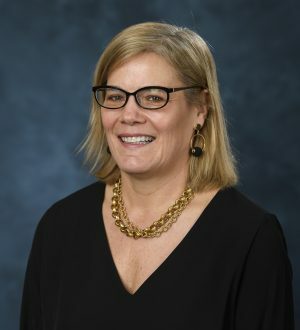 Her articles have appeared in the Harvard Journal of Law and Public Policy, the Iowa Law Review, the Florida Law Review, the Baylor Law Review and the Mississippi Law Journal.